It is equipped with a practical four-leg support; the robust meat cutting board combines the synthetic solid functional forms with the lightness of the décor, skillfully crafted through incisions. 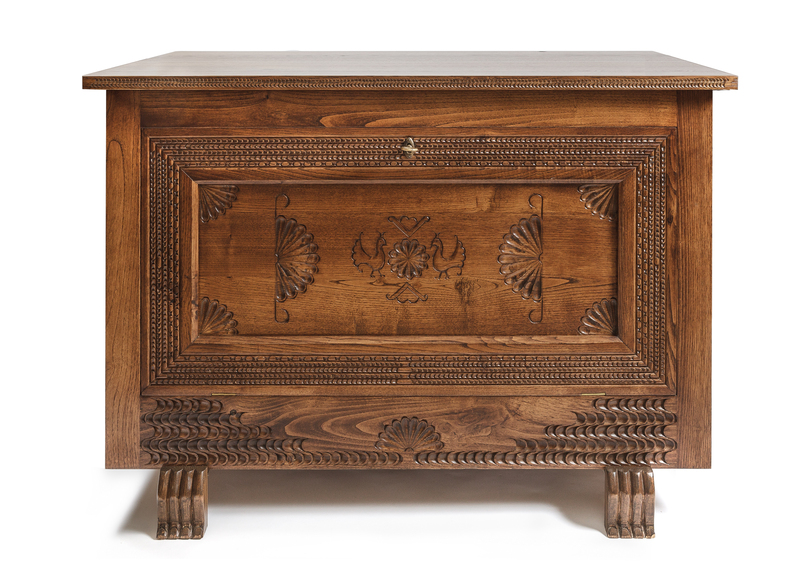 The core traditional Sardinian furnishing piece, the bridal chest, is repeated with timeless elegance in this container, finely carved with lapwings and geometric motifs. Characterized by fine craftsmanship, it evokes the aesthetics of ancient preciousness. A double functional use for this special chair that turns into a small ladder. 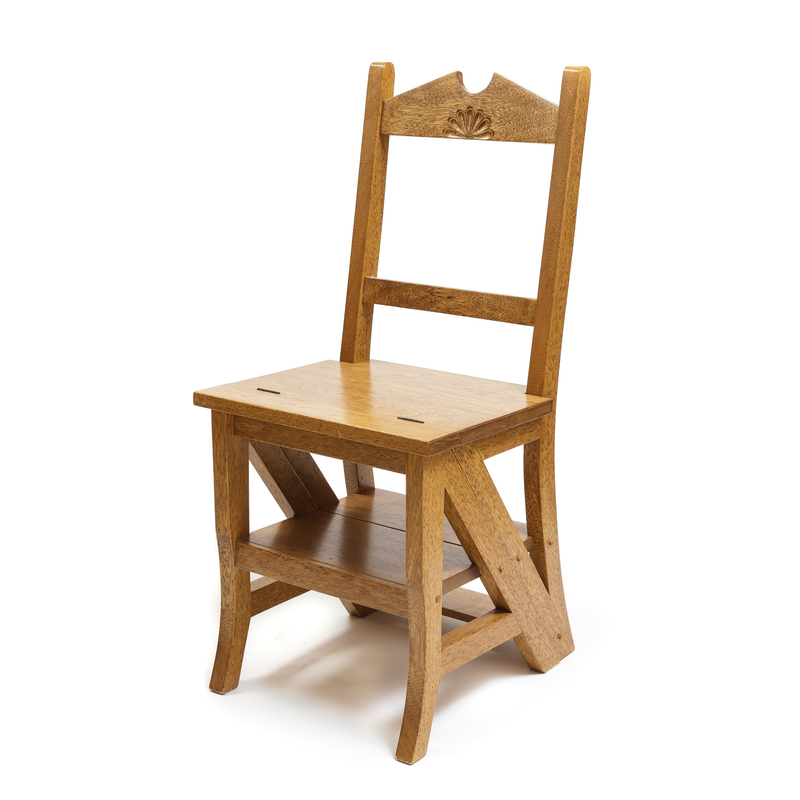 It is entirely handmade using walnut wood, enriched with linear forms and classical decorative carved details inspired by Sardinian tradition. 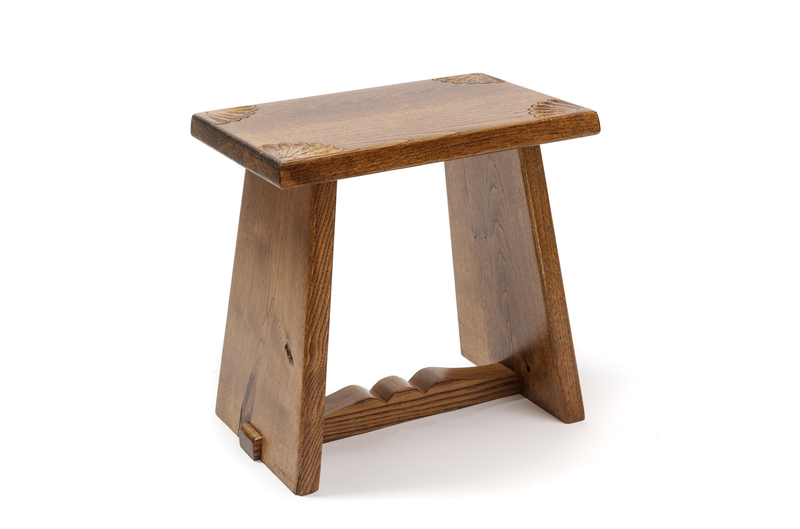 It reinterprets the traditional stool, su zumpeddu, used at home to sit by the hearth. Simple shapes, obtained by assembling a few walnut elements, are embellished by fine sharp encraved details. It reinterprets a typical element of traditional Sardinian furniture, su paristazzu, the detailed handcrafted wall shelf with carved decorations. 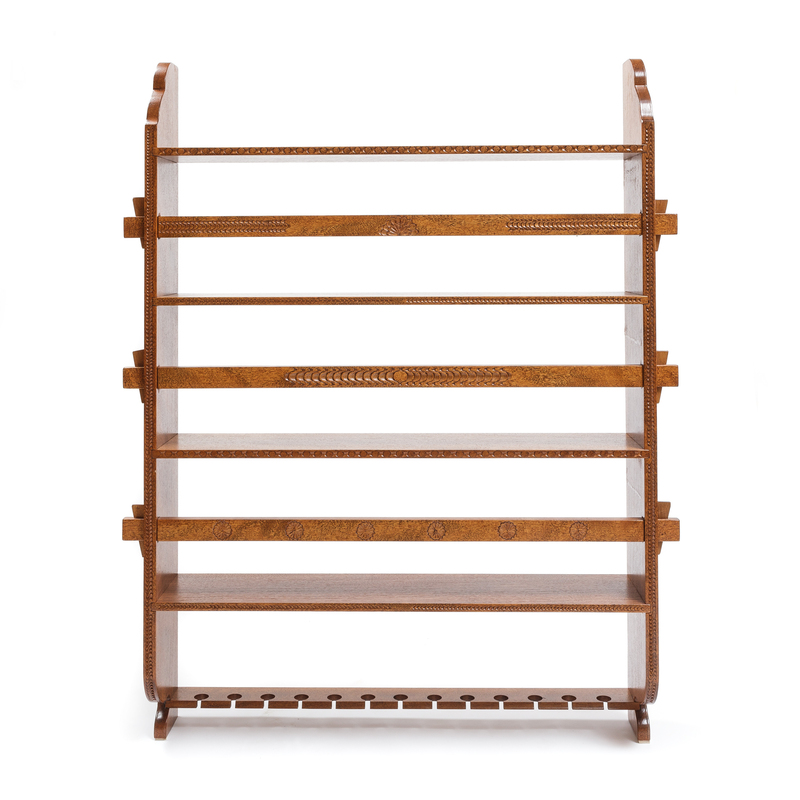 The multifunctional shelf displays the sober ethnic flavor that distinguishes local craftsmanship. Arcangelo Loddo inherited his skills and passion for fine carving from his father Paolo, a talented craftsman who started as a carver and then focused on pottery, involved in the creative and fruitful post-WWII scenario that gave birth to the distinctive Dorgali pottery. Arcangelo resumed and developed his father's original passion for woodworking, going back to the most deeply-rooted traditions of the island, characterized by a simple and peculiar craftsmanship, embellished by the distinctive iconographic repertoire of stylised incisions. His work shows the stylistic contamination of other local crafts, such as pottery, reinterpreted into modern objects that combine function and tradition in an intuitive way. The production of classic and modern customized furniture is offered in addition to a prestigious line of traditional products. 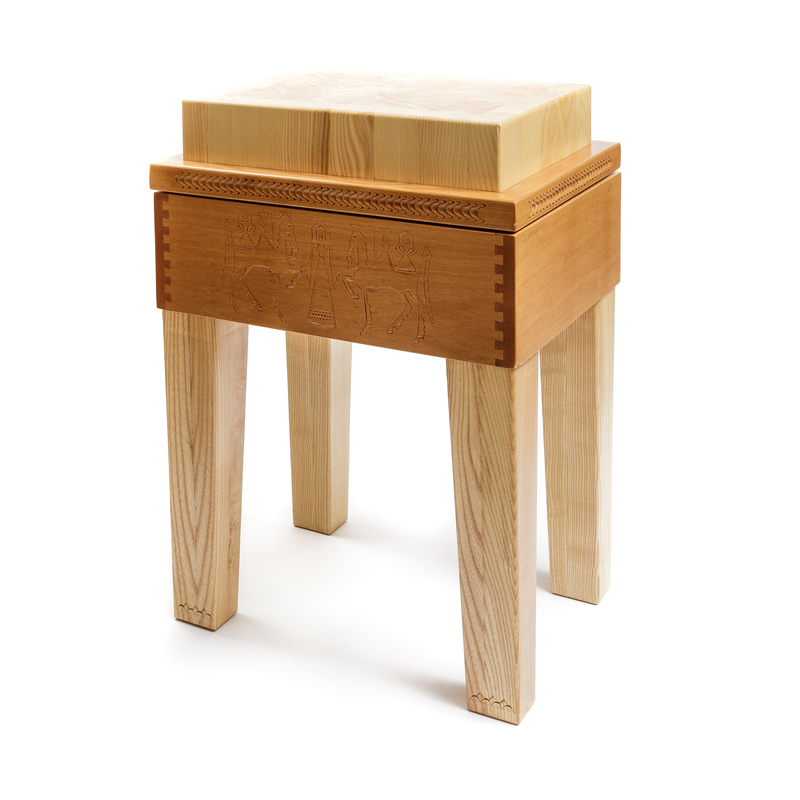 Local traditional products such as chests, small stools and typical shelves, come with personal reinterpretation, always characterized by top-quality craftsmanship and precious carving. In the workshop, he implements manufacturing techniques which meet the needs of the customer, offering a personalized and refined taste and artifacts with accurate finishing touches, including valuable handmade carved decorations.